V. Press will be open to submissions for flash fiction pamphlets in July 2018. 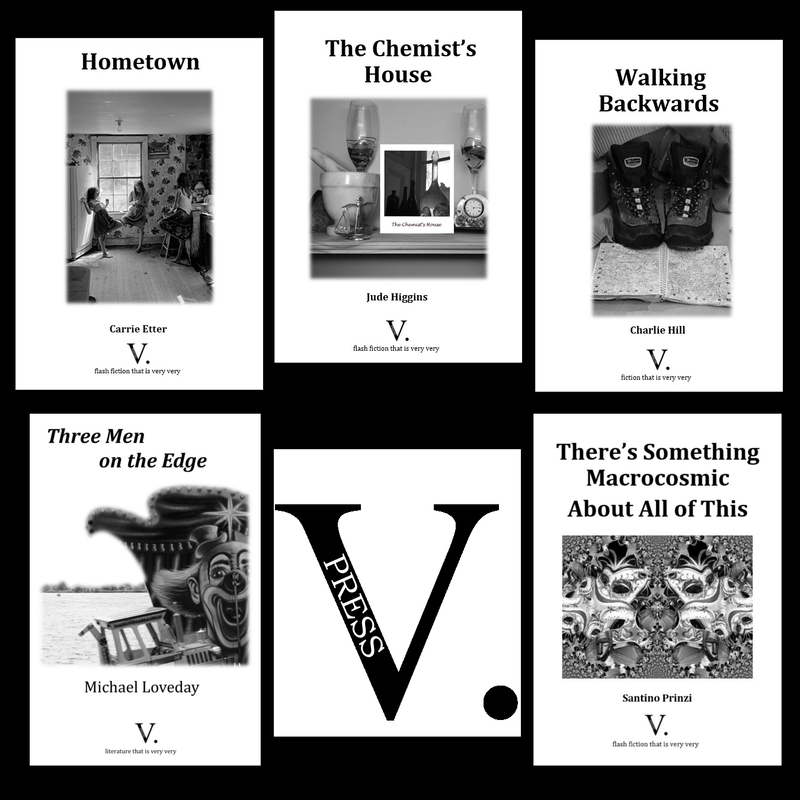 Shortlisted in the Michael Marks Publishers’ Award 2017, V. Press publishes poetry and flash fiction that is very very. Publications include Carrie Etter’s Hometown, Jude Higgin’s The Chemist’s House, Charlie Hill’s Walking Backwards, Santino Prinzi’s There’s Something Macrocosmic About All of This and Michael Loveday’s flash fiction novella Three Men on the Edge. V. Press currently publishes two fiction titles a year and is looking for stunning flash selections to publish next year. The flash submissions window will be open throughout July 2018. Please do follow the submission guidelines at http://vpresspoetry.blogspot.com/p/submissions.html carefully. There will be a V. Press showcase be at this year’s U.K. Flash Fiction Festival on Sunday, July 22.